Other notable nominees announced this morning inclue Justin Timberlake, Alicia Keys, Bruno Mars and more. The 2013 American Music Award nominations have been announced. 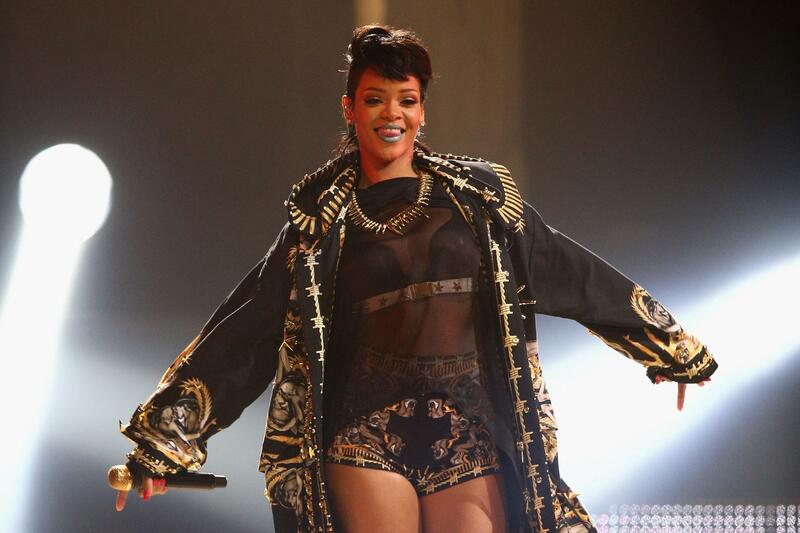 Rihanna and Robin Thicke are among the stars nominated this year. Both stars recieved four nominations each for their electric year in pop music—no surprise there! Rihanna was noiminated in the following categories: Artist of the Year, Favorite Female Artist—Pop/Rock, Favorite Female Artist—Soul/R&B and Favorite Album—Soul/R&B. Thicke was recognized in the following categories: Single of the Year, Favorite Male Artist—Pop/Rock, Favorite Male Artist—Soul/R&B and Favorite Album—Soul/R&B. Other nominated artists include Ciara, Alicia Keys, Bruno Mars, Jay Z and Justin Timberlake. As always, the winners will be decided by the fans. Online voting for all categories begins today. The awards will be given out on November 24th live from the Nokia Theatre in Los Angles. Click here to see a complete list of nominees.